Description: Shrimp fishermen haul in a net to check for shrimp, 30km off the coast of Vietnam. Shrimp is a $4 billion industry in Vietnam and is one of the fastest growing sectors of Vietnam's seaford exports. 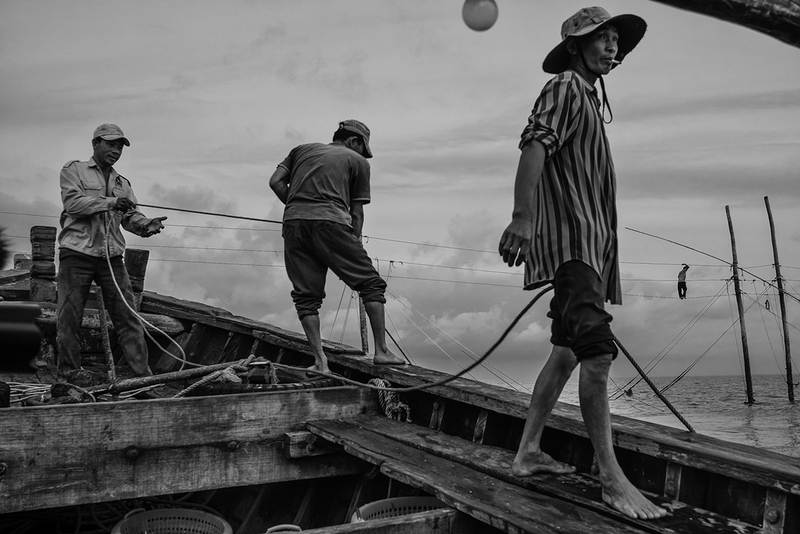 Caption: Shrimp fishermen haul in a net to check for shrimp, 30km off the coast of Vietnam. Shrimp is a $4 billion industry in Vietnam and is one of the fastest growing sectors of Vietnam's seaford exports.